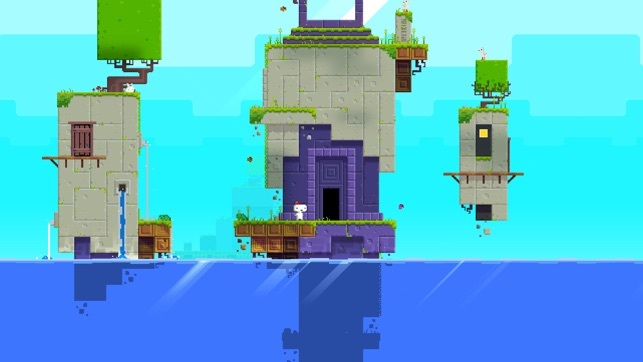 FEZ begins with a simple idea: you can rotate the world. 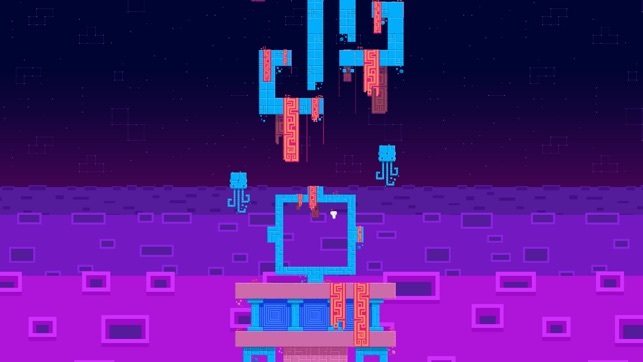 The more you play, the more you understand this concept’s far-reaching implications as you jump between ledges and rotate perspective to get pieces of the world to align. The complexity and sophistication of the puzzles keeps growing, building on ideas and forcing you to think in new ways. 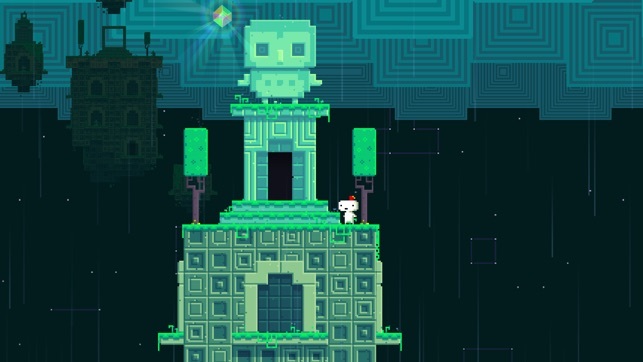 FEZ is perfect for anyone who loves scouring every little corner of virtual spaces for hidden secrets. I must have missed this game in the past but browsing some gaming sites today I saw it was released for IOS and the reviews gushed about the console versions. In terms of gameplay I would suggest looking up some reviews on other platforms. They are all excellent. 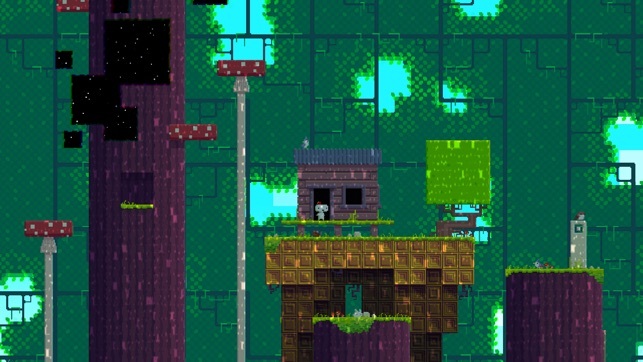 I have played for an hour or so and it is really engaging and makes you think differently then other platformers. It’s a great concept. What I usually want to know about these types of ports is how do they play on an IOS device. I loaded it onto my iPad Pro and it runs great as you would expect. More importantly based on the relaxed pace of play the touch controls are actually not a bad way to play and there is really no penalty for death. You just start back from right before you fell. That being said I have an mfi controller and it makes this experience just about perfect. I won’t go into a gameplay review as that is well covered by doing a google search but I figured I would let people know it appears to run and control very well on a recent iPad. A wonderful game, an odd change. 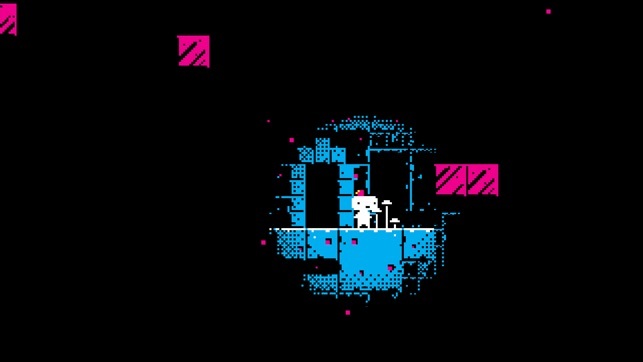 This game has the player explore and ponder each and every crevice of this amazing, and yet challenging world. The amount of playability and discovery in the game is astonishing! So it was an obvious purchase to make once I saw it on the App Store. However, as I understand the game as I had played it on PC, the iPhone version seems to be lacking of usability. It can be hard to use the controls on such a small device (which can be fixed with iPhone game controllers), but it’s harder to see the small, and beautiful, details that can be vital for a full play through of the game. So I hope to see a way to zoom in the level! I also witnessed a few bugs, but as the game constantly saves, it’s not too bad to just restart the app. This game is a must-have! Don’t let the negative aspects draw you away from this game; the port isn’t perfect, but the game is! If you haven’t played it, I highly recommend you do, some way or another!